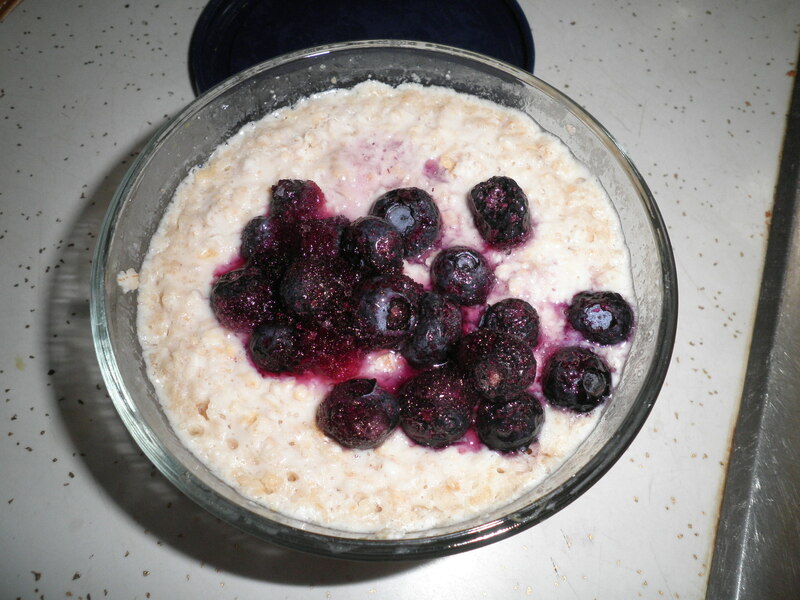 Started with a good breakfast…overnight oats which I actually remembered to prepare last night! I’ve been thinking about crock pot beans which I missed while we were away. So excited to Not have to make another stop to get them. They are soaking away and will be crocked in the morning! Can’t wait! 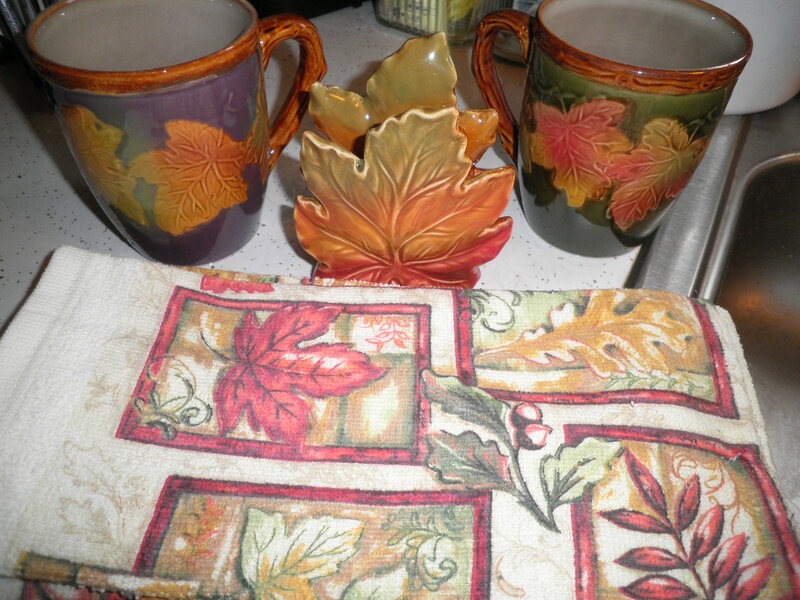 Fall mugs, napkin holder and a new set of dish towels~ I was so excited when I saw these mugs in NM! Hard to tell from the photo but they are Big! I think they’re probably about 12 ounces. I have a set of these from last year in a smaller mug size but when I saw the big ones, I just fell in love. Love a nice big mug of tea or coffee. Only bought two of these, one for me and one for Ralph. Can you guess which is for who? Of course the purple is for me! Only $2.oo each for the mugs and napkin holder, the dish towels were $3.50 for 2. Now I’m ready for Fall to officially start! My major project was going through mail that came in while we were away and shredding and shredding. I do feel more orderly after accomplishing that. I’ve got to plan out what I’m going to do tomorrow. I want to do something that relates to sorting and packing Every Day! Think I’ll do it? I sure hope so! Happy Thursday!! Complete A Project! 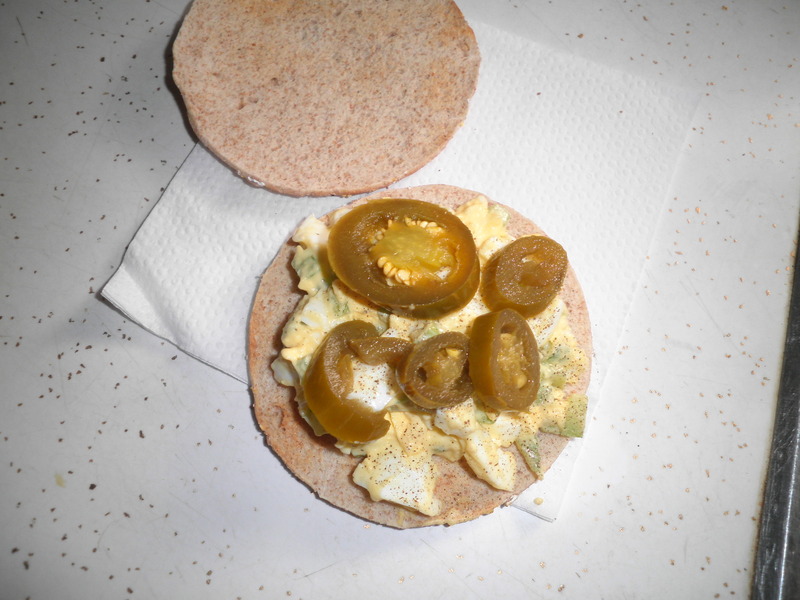 This entry was posted in Uncategorized and tagged breakfast, crock pot, salad, sorting and packing. Bookmark the permalink. hooray! what a great day, fran! i agree, it feels so good to get projects completed. yes, i DID do a task yesterday – > the main floor shower (never used) has always been a dump zone…well, i cleaned it out and it is now bare! first time in eight years! love that you got such a deal on those cute items for fall…a big mug is perfect for a cool autumn day (that weather will arrive!!). hope you have another satisfying day today! Thanks, Cathy! Drinking my coffee from my new mug right now! Gotta get something done today. I have to pick what to focus on then Do It!! Have a great day! Danni, they are the best! After they’re cooked, I have them for the whole week and can do so many things with them. 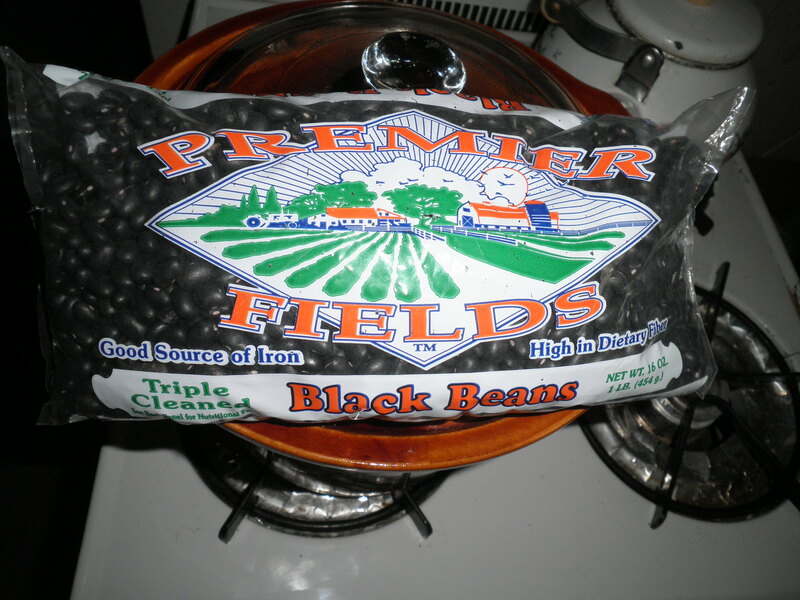 Black beans are my favorite! Those mugs are awesome! I’m not sure if there is a place like that near me but maybe I should look. I’m all with you on the NJ humidity. Yesterday was gross. I’ll never get used to it! Have a great day Fran! I know..every time I go into a decorating store, I’m lured in by all the fall stuff..so pretty…so fall-like…all calling out my name! Not to mention all the Halloween black cats out there like my guy..
Zo, I get completely sucked into Fall decorations. I have at least 5 boxes packed in the basement and I can’t decorate with them because of so much packed around the house. I just needed a few things to let me know that Fall (my FAVORITE season!) is here!